In just a few centuries, Rome grew from a very small village in central Italy to the absolute dominant power of the entire peninsula. In a few more centuries, the Roman Empire’s might reached as far north as Britain, east to Persia and, in the south, it encompassed the whole of Northern Africa. Rome’s extraordinary achievements and the unparalleled string of influential people shaped the whole of Europe and even the rest of the world. Much of what we know today about the historical foundations of Rome comes to us from ancient writers, such as Livy and Herodotus, along with archaeology studies. The early history of Rome, so deeply rooted in legend and mythology, is a mix of fact, fiction and educated guesses. The earliest evidence of human habitation in the Latium region which included the city of Rome, dates from the Bronze Age (1500 BC), but the earliest established and permanent, settlements began to form in the 8th. century BC. At that time archaeology data indicates two closely related peoples in the area, the Latins and Sabines. These agrarian Italic peoples were tribal in origin, with a social hierarchy that dominated Rome’s early form of government and throughout its claim to power in the region. The date of the founding as a village or a series of tribal territories is uncertain, but the traditional and legendary founding of the city dates to 753 BC. Although this date is heavily laden in myth, it is at least roughly supported through archaeological evidence. It was in the 8th. century BC that two existing settlements, one on the Palatine Hill, the other on the Quirinal, combined to form a single village, corresponding to the same dates as the legend. According to legend, Romans trace their origins to Aeneas, a Trojan who escaped the sack of Troy by fleeing to Italy. The son of Aeneas, Iulius (commonly Julius) founded the city of Alba Longa and established a monarchy. Two descendants of the Alba Longa Kings, the twin brothers Romulus and Remus, would go on to become the founders of Rome. Eventually the two brothers quarreled resulting in the murder of Remus, leaving Romulus as the first King of Rome. The traditional date of Romulus’ sole reign and the subsequent founding of the city, April 21, 753 BC, is still celebrated with festivals and parades today. Like all great empires, Rome reached the height of its power, and then over a long period of time, began to collapse. It became increasingly expensive for Rome to maintain the large armies needed to protect their borders from invasion. After 117 AD, when Emperor Trajan called a halt to the expansion of the Empire, the once conquering Legions had now become an army of occupation and were kept busy building towns, roads and aqueducts.The armies also became increasingly staffed by foreign-born soldiers and mercenaries, drawn from the conquered provinces. This lead to decreased nationalism and allegiance to the Empire. The legions feuded over who the true emperor should be and, having not fought an offensive battle for a hundred years, had lost their fighting edge. 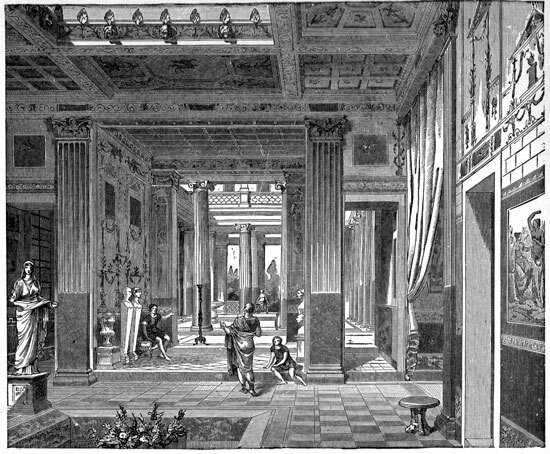 Rome’s commerce and trade, at home and abroad, became complacent and stagnant. The vast numbers of people and the many cultures ruled by the Empire became unmanageable. 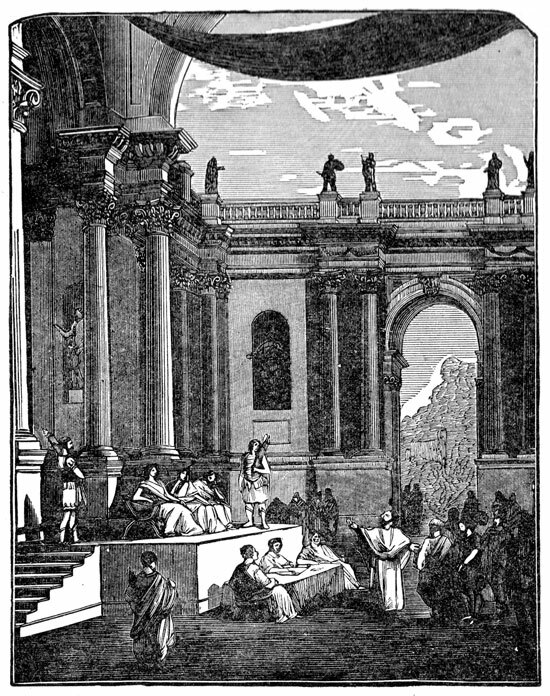 For 1700 years, Rome set the standards for future civilizations to come. The heritage of Ancient Rome permeates the world today. Roman Art and Architecture can be found throughout the world. Roman Literature, Law and Language have been studied and adopted by many cultures around the globe. In Italian culture, food has always been the anchoring point around love and laughter and good food holds the power to wander freely across class distinction. Today, the region of Lazio is often seen as the center of Italian culture. Bordered on one side by the Tyrrhenian Sea and cradled in almost the very center of Italy, this region has long been looked to as the center of important Italian cultural elements: food, wine, politics, architecture and art are all present in abundance. With the provinces of Viterbo and Rieti to the north of Rome, and Latina and Frosinone to its south, the mountain-to-sea terrain offers a rich variety of landscapes with growing and producing conditions close to ideal. Oxtail, veal, pork, lamb, spaghetti, gnocchi, bucatini, garlic, tomatoes, truffles, potatoes, artichokes, olives, grapes, buffalo mozzarella, and pizza … the cornucopia is overflowing. Historically the seat of power for the greatest empire the world has ever known, Lazio has developed food that is a great example of how the simple dishes of the poor working classes (farmers, miners, craftsmen) have formed and influenced the cuisine of the upper classes. Pork with potato dumplings. Artichokes stuffed with mint. The process has been evolutionary, fusing the basic with the indulgent, the readily available with the rare, the “at-hand” with the Kosher. Very little is wasted in Lazian cooking, and the results are nothing less than extraordinary. The Lazio region continues to draw people interested in the history, art and architecture of the area, and of course, the remarkable food. The area is home to a June cherry festival in the village of Celleno where local cherry dishes entice foodies from all over the world. Three prominent lakes also make a popular vacation destination for Europeans in general. Monte Terminillo draws avid skiers in the winter, and its hearty potato-based dishes (such as gnocchi) provide plenty of energy for the downhill runs. Rome offers countless tourism opportunities and amazing food everywhere. Many make the pilgrimage to Latina just for the remarkable mozzarella di bufala, a mozzarella cheese made from water buffalo milk. Santo Stefano village is host to the Sagra degli Antichi Sapori (or “Festival of Ancient Flavors”) each year, celebrating local dishes like minestra di pane e fagioli, a hearty bread and bean soup. You need not travel all the way to Italy to discover Lazian cooking. Some form of it has probably been on your table many times. Take, for instance, the best known and most humble of pastas: spaghetti. Almost any bit of this or that leftover – vegetables, herbs, oils, cheeses, cream, meats – can be combined with each other and with spaghetti for a delicious meal. With the right ingredients, you and your family can taste the delights of Roman cuisine without ever leaving your home. 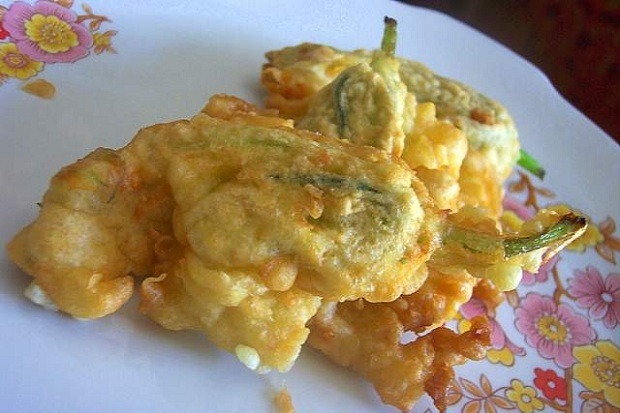 Zucchini flowers, stuffed with mozzarella cheese and a piece of anchovy fillet, dipped in batter and deep-fried. Pasta Cacio e Pepe: With grated Pecorino Romano and freshly ground black pepper. Although Rome is only a few miles from the sea, fish is not part of traditional Roman cooking. Some vegetables, e.g. spinach, are served year-round, others only in season. The most common preparations are all’aglio e olio (olive oil and garlic) or al limone (olive oil and lemon) and vegetables are often served at room temperature. Salads come in many ways. A green salad (insalata verde) or a mixed salad (insalata mista, greens with carrots and sometimes tomato wedges) often comes to the table plain: you dress it yourself with oil and vinegar. Other salads (e.g., tomato or fennel) generally come dressed. A word about garlic: Most dishes are only flavored subtly with garlic; garlic is rarely predominant and never overpowering. Melt butter in a pan large enough to also hold the cooked pasta. Add the chili pepper, saute for 2 to 3 minutes. Add tomato paste and water. Simmer over low heat for 5 minutes stirring frequently with a wooden spoon to prevent it from sticking to pan and burning. If need be, add more water. Add the vodka; simmer for about 3 minutes more. Cook pasta in boiling salted water according to package directions. When pasta is just about ready (about 9 minutes), add the cream to the heated tomato mixture, stirring. When heated through, add the Parmesan cheese, stirring. Drain pasta and transfer to pan with sauce. Mix thoroughly, taste for seasoning and transfer to a warm bowl. Pass extra grated cheese at table. A Roman pasta dish with fresh tomatoes and basil. Boil water for the pasta, add salt and cook according to package directions. Drain. Reserve 1/2 cup of pasta cooking water. Heat the olive oil in a large pan over medium heat. Add the garlic and saute for 2 minutes. Remove garlic and discard. Add the tomatoes, crushed red pepper flakes and the basil. Continue cooking for 10 to 15 minutes stirring occasionally with a wooden spoon making sure the sauce does not dry out. Add salt and pepper to taste. Place pasta in the pan in with the sauce. Add pasta water and mix well. 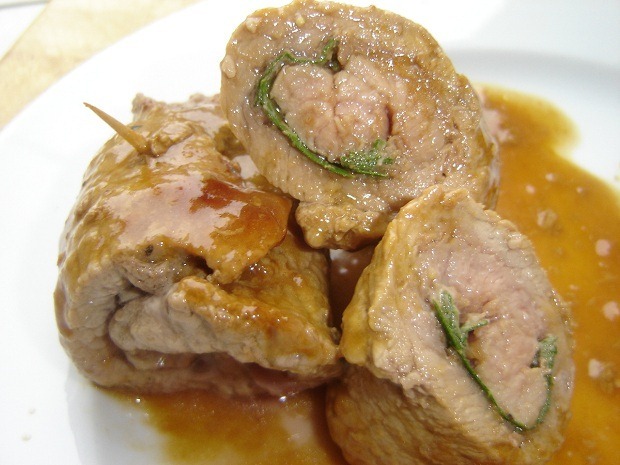 The original owner of Alfredo’s Restaurant in Rome, Alfredo Di Lelio, is said to be the originator of this delicious but rich dish of worldwide fame. He has since passed away but the recipe for both the fettuccine pasta and the sauce remain secret. The recipe below is close to what he made. The quality and taste of the ingredients is the key to success with Fettuccine Alfredo, especially the fettuccine and the cheese. Fettuccine Alfredo is finished in the pan – the cooked and drained pasta is added directly to the warmed ingredients in the pan. Boil the pasta cooking water. Add salt and pasta. Cook al dente and drain. If you are using fresh fettuccine, it can cook in as little as 2 minutes (plus the time it takes the water to boil), so have all ingredients and cooking utensils ready. In the same pan that the pasta was cooked in, melt the butter over low heat. Slowly add the cream and whisk or stir often with a wooden spoon until it is hot and slightly reduced. Add the cooked and drained pasta. Mix well. Remove the pot from the heat. Add cheese and stir carefully. 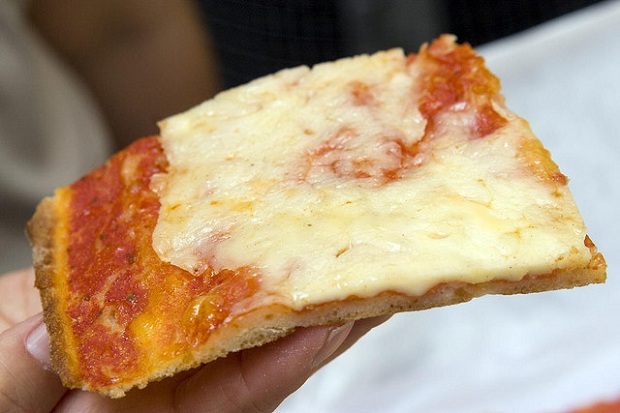 Hi Jovina, want to taste the best panini in Rome? Go to 200 gradi, in Piazzale del Risorgimento. I’m waiting you to explore and eat the best italian food in Rome. Pajata, Coda alla vaccinara, Carbonara, Carciofo alla Giudia, bucatini all’amatriciana, trippa romana, abbacchio. 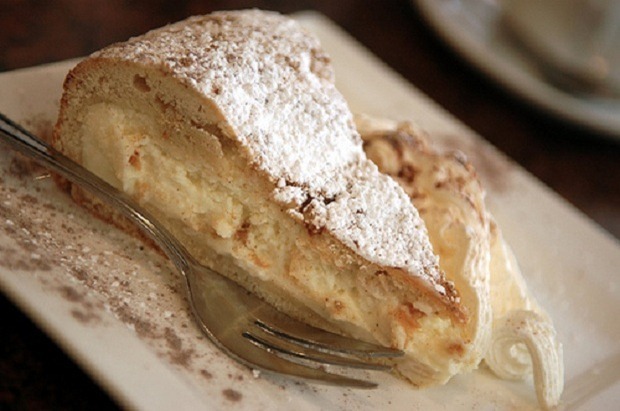 and for dessert: Maritozzi, bignè di san giuseppe, zuppa dolce, gelato di ricotta! DAJE!!! Thank you so much for visiting and commenting. Many people would definitely want to try your delicious dishes at your recommended restaurant when they visit Rome. Alfredo di Lelio opened the restaurant “Alfredo” in a local in the center of Rome in 1914, after leaving his first restaurant run by his mother Angelina in Piazza Rosa (Piazza disappeared in 1910 following the construction of the Galleria Colonna / Sordi). In this local fame spread, first to Rome and then in the world of “fettuccine all’Alfredo”. In 1943, during the war, Di Lelio gave the local to his collaborators. Our restaurant “Il Vero Alfredo” is present in the Register of “Historical shops of excellence” of Roma Capitale. We must clarify that other restaurants in Rome and in Italy do not belong to the family tradition of “Il Vero Alfredo”. Thank you for sharing information about your family. 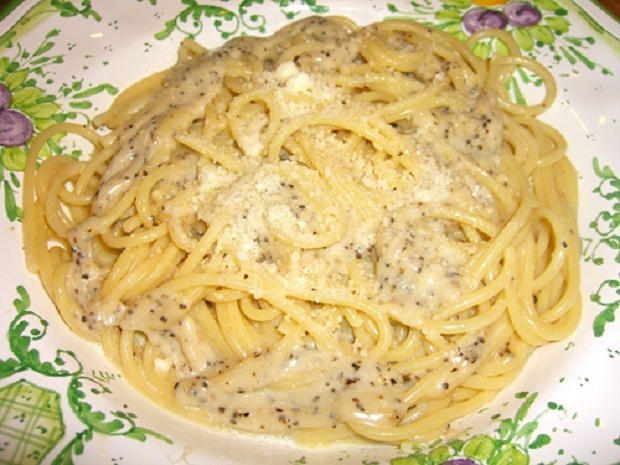 I would love to Learn how to make cacio e pepe shown in the photo above. I never see it on the menu in the USA and have to enjoy it when in Rome. Thanks Jovina.